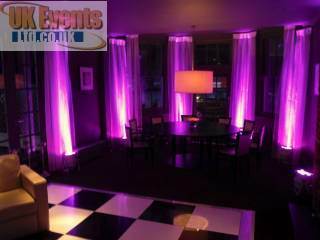 Magenta Uplighters with a disco and dance floor package. 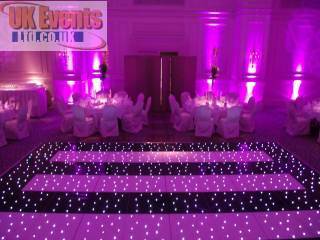 We mixed the black and white starlit dance floor panels to make a striped dance floor. We used pink uplighters to create the pink room effect. 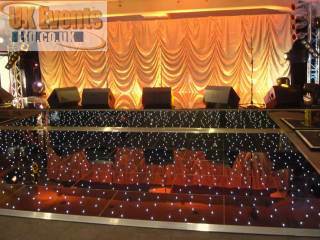 Enhance the look of your function room with the use of LED furniture. Looking for a VIP grand entrance? 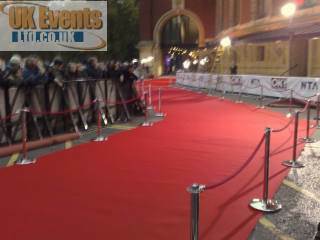 Hire a VIP carpet to add that wow factor to your event. 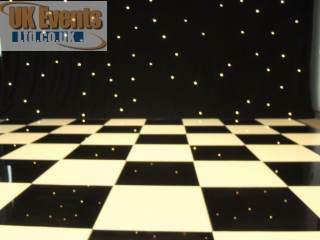 Black and white chequered dance floor with a black starcloth backdrop. 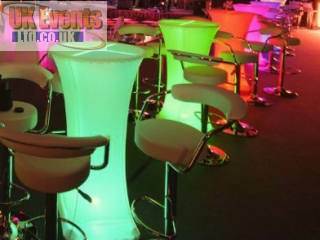 LED Cube seats and tables. 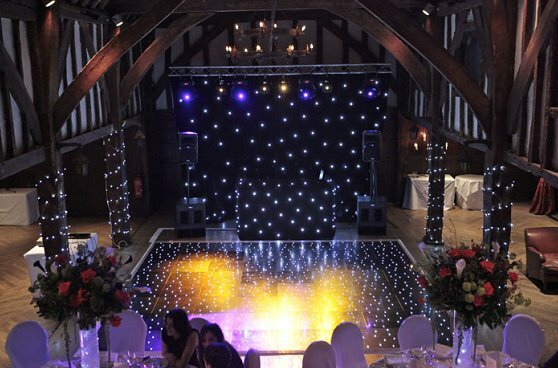 Disco, dance floor and room lighting.